Some of the world's most spectacular destinations are also home to some of the world's nastiest bugs. Yellow fever, malaria, and even polio can strike international travelers. Protect yourself by learning which vaccines or safety steps are a good idea for the area you're visiting. To give vaccines time to work, see your doctor four to six weeks before your trip. If you're planning an African safari, you may need a polio booster. This disease is still active in many parts of Africa and Asia. The germs can be spread through food, water, and contact with someone who is infected. Even if you had a polio vaccine as a child, you may need a booster to make sure you're protected against all three types of the virus. Along the border of Argentina and Brazil, Iguazu Falls attracts visitors from all over the world. Unfortunately, it also attracts mosquitoes that carry the yellow fever virus. Yellow fever occurs in parts of South America, as well as tropical Africa. You need a vaccination to visit certain countries, with a booster shot after 10 years. It's important to try to avoid mosquito bites, too. Typhoid fever is a serious infection common in the developing world. 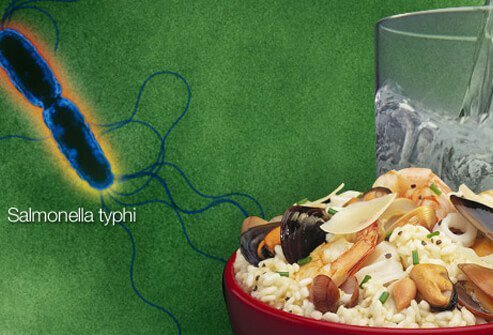 It's caused by bacteria that can be found in food or drinks. About 5,700 people in the U.S. get typhoid fever every year -- most while visiting Asia, South America, or Africa. The CDC recommends the typhoid vaccine at least one to two weeks before traveling to these areas. If you've had the vaccine in the past, ask if you need a booster. 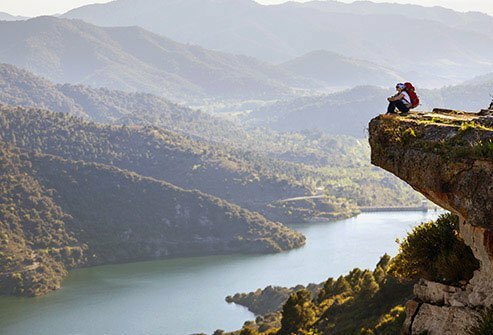 Before planning any adventure travel, make sure you're up to date on your tetanus shot. Tetanus infections often result from skin injuries, including frostbite, burns, or punctures. The blame goes to a bacterium that is found in all parts of the world. Booster shots are recommended every 10 years. One of the great pleasures of international travel is trying all kinds of exotic foods. 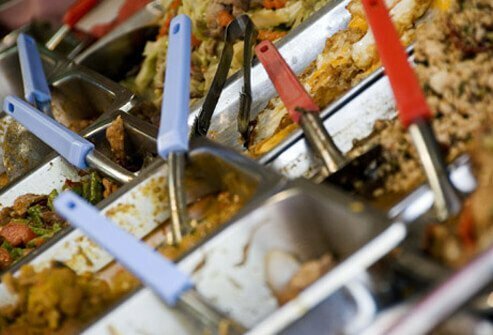 Unfortunately, dirty food or water can spread infections, including hepatitis A. This viral infection, which causes liver inflammation, is common throughout the developing world. If you weren't vaccinated as a child, ask your doctor about getting the vaccine series before heading abroad. The hepatitis B virus also causes liver inflammation, but is spread through blood or other body fluids infected with the virus -- not food. Many infected people carry the virus in Africa, Southeast Asia, the Middle East, Pacific Islands, Caribbean Islands, and the Amazon River basin. 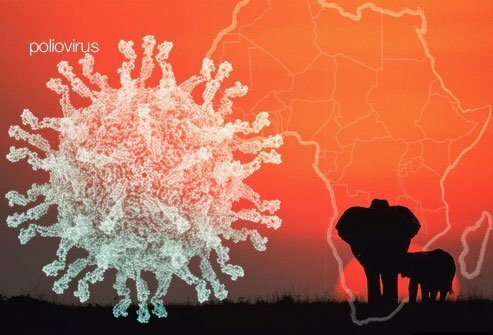 The CDC recommends the hepatitis B vaccine for all travelers to these areas, especially adventure travelers, missionaries, Peace Corps volunteers, and military personnel. Rabies is found all over the world, except Antarctica, and is spread through animal bites. 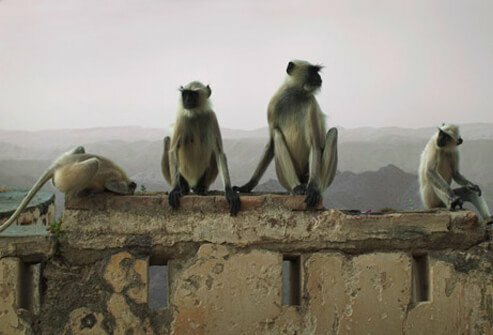 Street dogs in Africa, Asia, and South America are the biggest problem for travelers, followed by monkeys living among the temples of Asia. A three-dose vaccine is available, though you still need treatment after a bite. The vaccine buys you time to reach medical care, and cuts the amount of treatment you'll need. If you get an annual flu vaccine, factor travel plans into the timing of your vaccine. 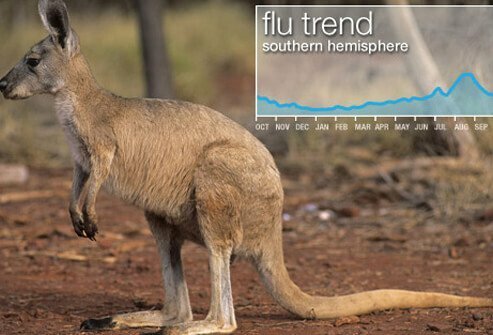 In the Southern Hemisphere, flu outbreaks are most common from April through September. So, families planning a summer vacation in Australia, for example, should make sure they are vaccinated before departing. Malaria is a disease carried by mosquitoes. It's most common in sub-Saharan Africa, but also occurs in parts of South Asia and South America. 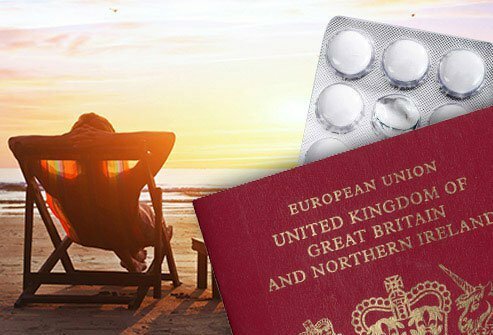 If you're headed to that part of the world, ask your doctor about the pros and cons of drugs that prevent the disease. It's also smart to use mosquito repellents (30% - 50% DEET for adults), wear long sleeves and pants outdoors, and sleep under mosquito nets treated with insecticide. Dengue fever is the most common cause of fever in travelers returning from the Caribbean, South Central Asia, and Central America. 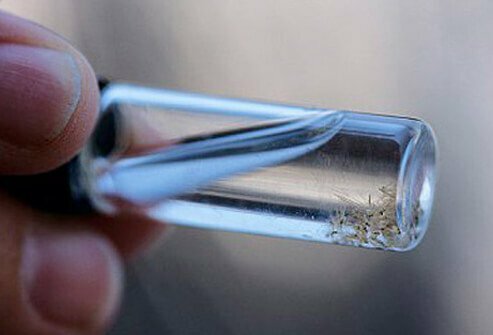 Recently, small numbers of the mosquito-borne illness have been reported in Key West, Fla. While most cases are mild, some people develop the more serious dengue hemorrhagic fever. There is no vaccine, but you can lower your chances when you travel by protecting against mosquito bites. Tuberculosis (TB) is more common in Asia and sub-Saharan Africa, although it is found all over the world. It's spread when a contagious person coughs. Travelers who spend time working or volunteering in hospitals, prisons, or homeless shelters have a higher chance of being exposed to TB. If you think you may have been exposed, it's important to get a skin test. Quick treatment is the key to avoiding problems. Sleeping on the beach may sound romantic … until you think about sand flies. Bites can spread a disease called leishmaniasis. The most common type, found in parts of the Middle East, Asia, Africa, and Central and South America, causes skin sores and ulcers. To avoid bites, stay indoors from dusk to dawn. Wear long-sleeved shirts, pants, and socks. Bug spray and bed nets can also help. Lymphatic filariasis is caused by a tiny, parasitic worm that spreads through mosquito bites. It affects millions in Asia, Africa, and the Western Pacific, and a fraction of people go on to develop elephantiasis. 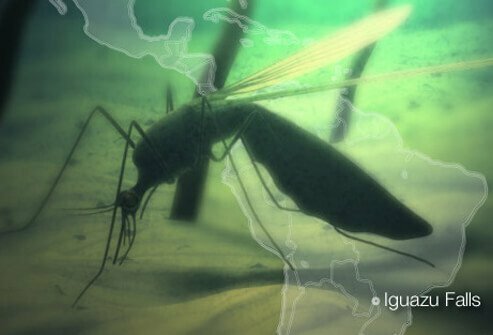 In the Americas, the disease occurs in Haiti, the Dominican Republic, Guyana, and Brazil. 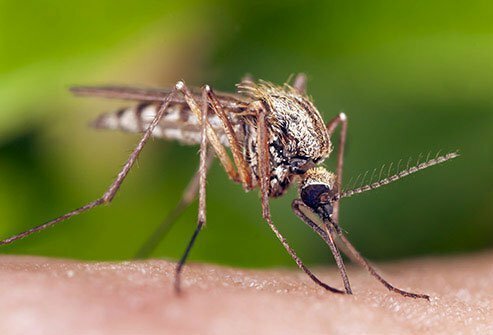 Short-term travelers are at low risk, but it's smart to avoid mosquito bites. 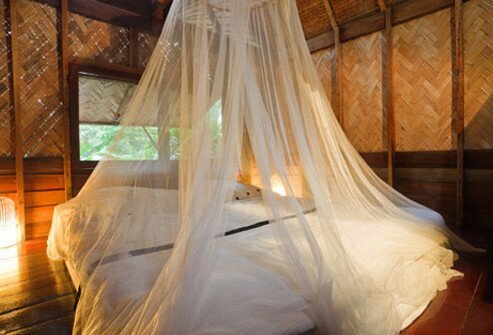 Use repellent, wear long sleeves and pants, and sleep under a mosquito net. 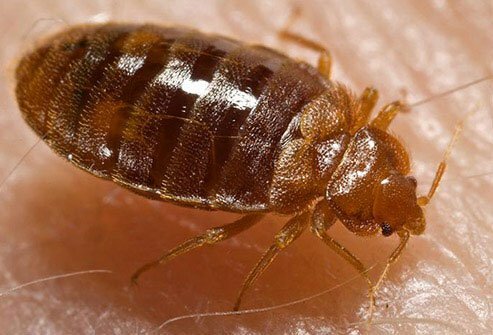 Bedbugs are not choosy about where they stay -- they check into hostels and five-star resorts across the globe. They cause itchy red bites on the face, neck, arms, hands, or other body parts. But these marks can take up to two weeks to show up. To find them faster, look for tiny bugs in the folds of mattresses or sheets, rust-colored spots on the mattress, and a sweet musty odor. 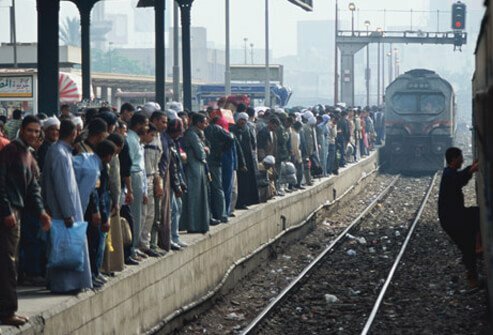 Travelers' diarrhea is the top travel-related illness, affecting up to half of international travelers. People visiting Latin America, the Middle East, Africa, and Asia, are the most likely to get it. It's rarely serious and almost always goes away on its own. Still, you can take steps to prevent it that can also help stop more serious illnesses like cholera. 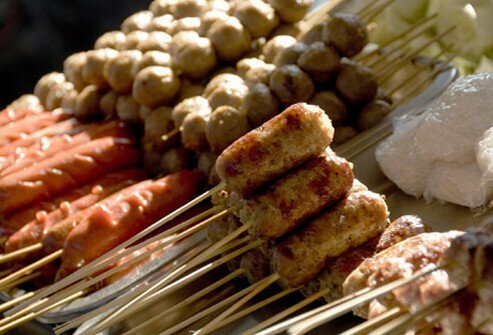 The CDC recommends avoiding tap water, food sold by street vendors, raw or undercooked meats and seafood, and unpeeled fruits and veggies. 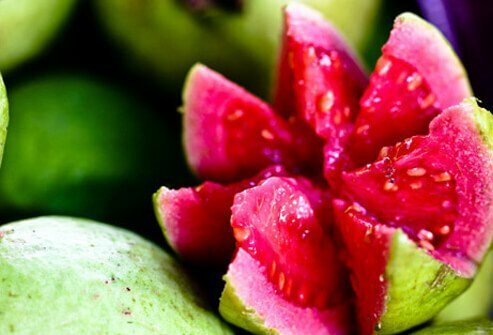 With a few safety steps, you can enjoy fruits and vegetables while traveling. Don't eat raw fruits and veggies, unless you can peel them yourself. A good rule of thumb: boil it, cook it, peel it, or leave it. Also skip salads that may have been washed in tap water or smoothies made with non-purified ice. 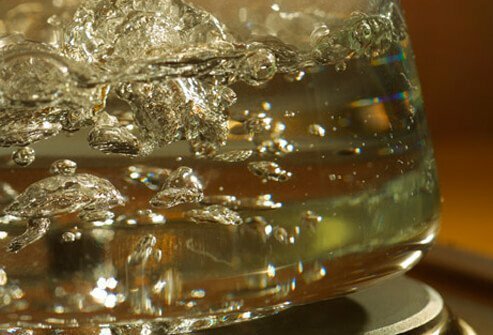 "Don't drink the water" may be a rule for international travelers, but there are actually several ways to make local water safe. The safest way is to boil it for at least a minute. When this isn't possible, you can disinfect it with iodine tablets, but this may not kill all types of parasites. You can also use a portable water filter. 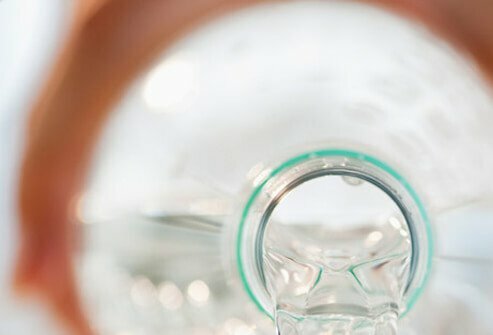 If you buy bottled water, make sure the bottles come from a trusted source. Despite all your safety steps, there's still a chance you may get travelers' diarrhea. If you’re heading to an area where this is likely, you may want to ask your doctor about bringing antibiotics. 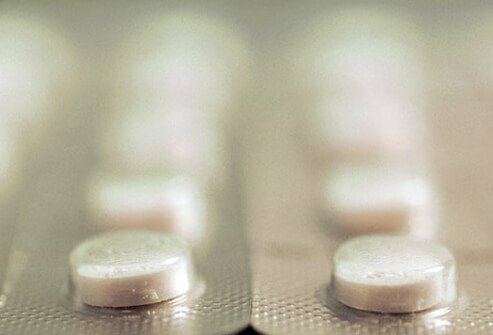 Moderate to severe traveler's diarrhea is often treated with antibiotics. If you still have diarrhea after taking antibiotics, it's important to get tested for a possible parasitic infection. 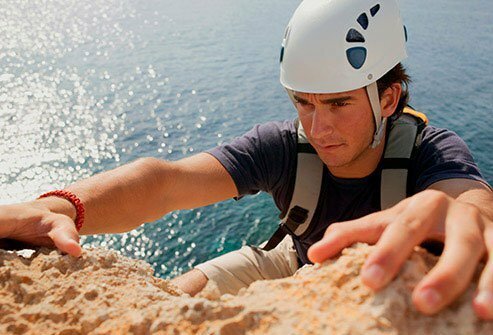 Adventures in extremely hot and humid climates can put you at risk for dehydration. Your chances are even greater if you develop traveler's diarrhea. Signs of dehydration include sunken eyes, dry nose and mouth, and having to go to the bathroom less often. Sports drinks can help you stay hydrated if you're well, but they aren't a good idea when you have diarrhea. In that case, you should sip an oral rehydration solution. Few things take the fun out of a beach vacation like red, peeling skin. 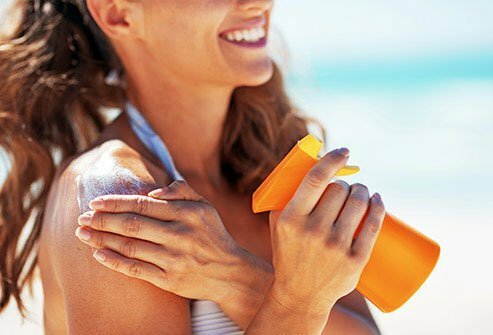 Besides being painful, UV rays and sunburn can lead to early aging and skin cancer. Protect yourself with a broad spectrum sunscreen that blocks UVA and UVB rays. Other ways to protect yourself are covering up, wearing a hat, and protecting your eyes with sunglasses. Being pregnant doesn't mean you shouldn't travel, but you should take some safety steps. The CDC recommends steering clear of any country where there's malaria. It's especially important to be smart about food and water safety because the results of a food-borne illness could be more serious. And if you're in your third trimester, make sure you will be near a medical facility that can handle premature labor and/or birth. 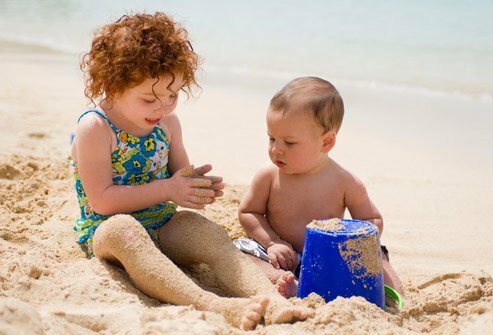 The best way to protect infants against food and waterborne illnesses is to breastfeed while traveling. If this isn't possible, be sure to make formula with water that has been boiled well or bottled. When babies or young children develop diarrhea, they can get dehydrated quickly and may need medical help. Children are also more likely to have problems if they become infected with malaria and other infections. 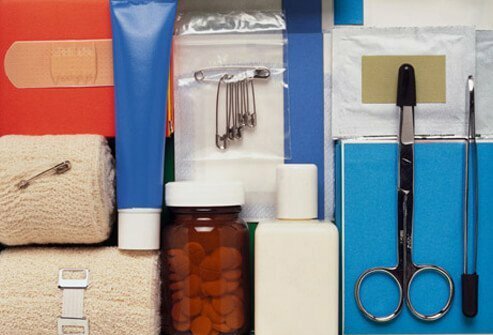 You can purchase a travel first aid kit or make your own. The contents should include disposable gloves, adhesive bandages of various sizes, gauze, antiseptic, cotton swaps, scissors, elastic bandage wraps for strains, antifungal and antibacterial creams, anti-itch cream, aloe gel, saline eye drops, and a first-aid quick reference card. You should also include any medications you take regularly in their original containers, along with copies of your prescriptions. Before your trip, check with your health insurance provider to find out which services are covered abroad. You may want to buy extra insurance to pay for medical expenses when you're away. 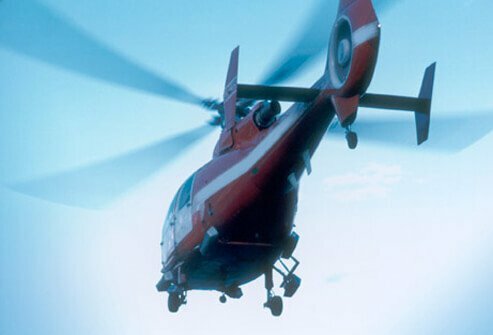 Evacuation insurance is a special policy that will cover the cost of an air ambulance. This is particularly important for travelers to areas with limited medical facilities.